The congregation of Trinity Episcopal Church was officially founded in 1822. The church building is the oldest in Natchez, and the oldest existing Episcopal church building in Mississippi. The Episcopal Church was introduced to the Natchez area by missionary The Rev. Adam Cloud, who brought the faith and doctrine of the American Episcopal Church to the “West Florida” frontier in 1790. Fr. Cloud remained in the area until 1793, when he and his family were seized in the middle of the night, and expelled, as a result of complaints made to political and ecclesiastical officials in New Orleans. 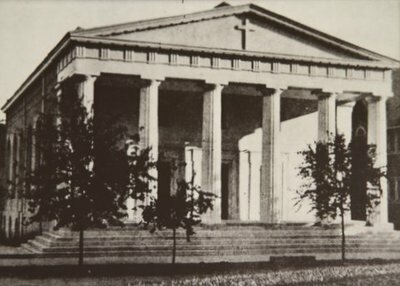 Several years later, Episcopal services in Natchez were preformed by The Rev. Adam Boyd in the Natchez Courthouse, beginning in 1798 and ending in 1807 with his death. Fr. Boyd was only the second Episcopal priest known to have been in the Mississippi Territory. ​The first services as a parish were held by The Rev. James Pilmore on Sunday, May 10, 1822. Fr. Pilmore had arrived in Natchez through the efforts of Natchez citizen, Dr. Stephen Duncan. 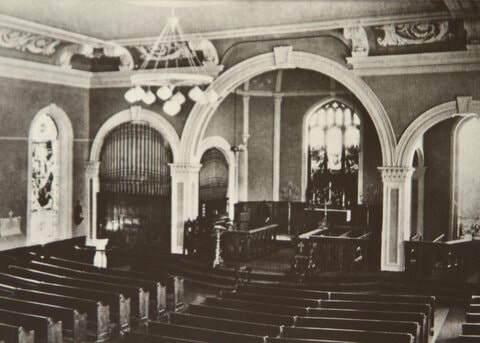 The first services were held in the Presbyterian Church due to the kind permission of the Rev. Mr. Weir. The lot, on which present-day Trinity Church stands, was purchased in April, 1822 for $1500. Construction was begun immediately. The architect for the building was John Munce, and the Master Builder was George Williams. 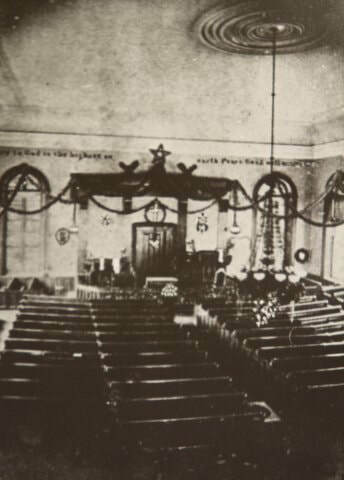 The The first services in the present building, were held in the Spring of 1823. Regular services have been held at Trinity Church ever since. In 1838, the architectural firm of Breedon & Reynolds was engaged to remodel the building. 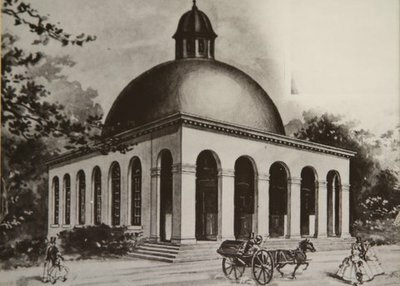 The decorative dome was removed, the roof line reduced, a portico was added to the front, and stucco was applied to the exterior. The seating capacity was enlarged, and an under-croft was made for Sunday School classes. The work was completed at a cost of $19,664. The church today contains two genuine Tiffany stained glass windows. The first rectory was purchased from William K. Henry for $7,000. It was located in the 800 block of Main Street. A second organ. purchased from Hall & Labash of New York, was installed in 1851. Electricity was first used in the church in 1900. The exterior of the church was restored in 1918, thanks to a generous gift from N. L. Carpenter. In that same year, a new rectory was purchased, located on the corner at 310 South Commerce. The current rectory sits at 308 South Commerce St.
Trinity parish will celebrate its bicentennial in 2022.